By far the best depiction of the scene ever done. 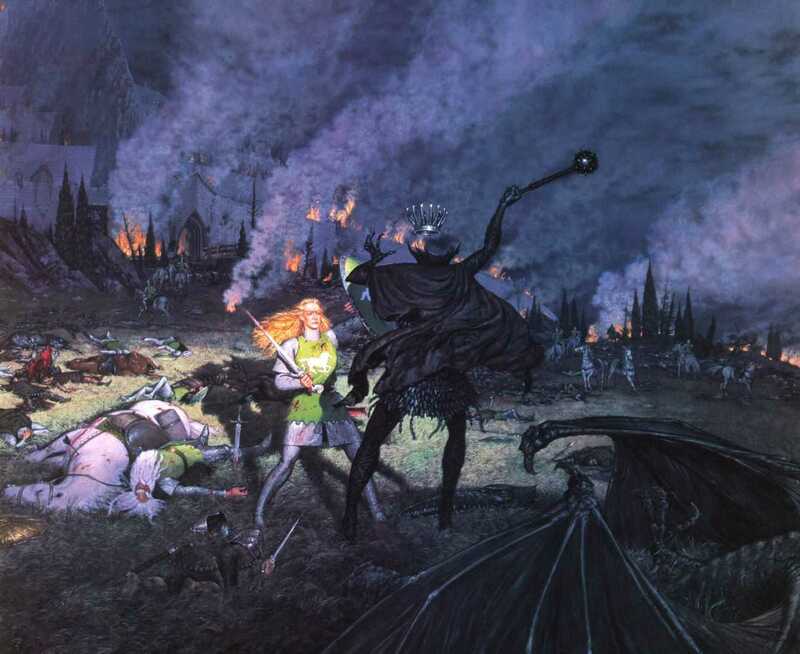 All the details of Tolkien's narrative are shown: the lighting, the routed Rohirrim, the terrorized Meriadoc crawling forward unnoticed on the ground, the decapitated flying steed of the Witchking, king Théoden and Snowmane stricken, and the large, formidable warrior princess. Nasmith has painted a muscular woman 6' tall, handsome rather than fair, with a warrior's determination on her face.